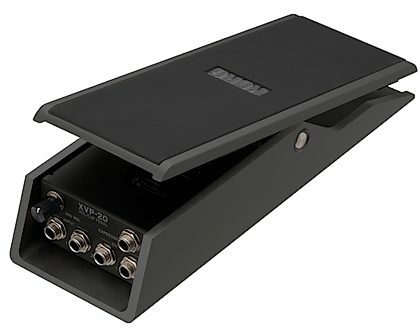 Since its launch in 1994, the XVP-10 expression/volume pedal has become a long-selling success, and now it's available in an updated rendition. With its tough aluminum body and stylish design, it delivers stability in a compact form. Intricate features have also been added, including the use of rubber to allow enhanced grip, and improved gears that provide smoother operation. A new black anodized finish on the exterior emanates a sense of high quality. 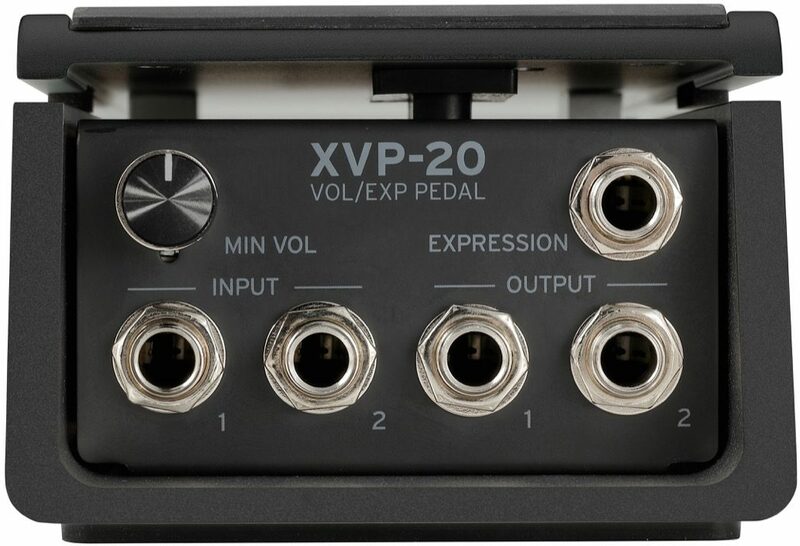 The XVP-20 gives you all the functionality you want from an expression/volume pedal. It provides two sets of input/output as well as one expression jack. 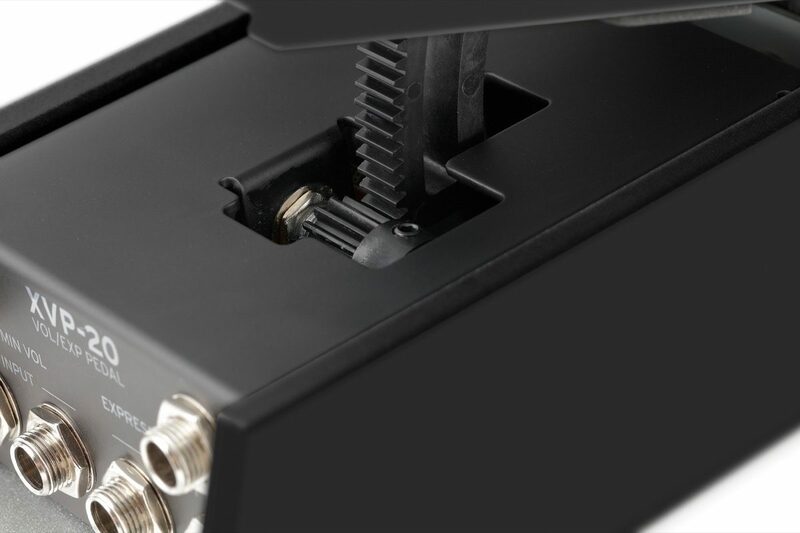 While the output and expression jacks are available on the previous model, the XVP-20 delivers even better operability. The augmented compact body design improves portability, and the sturdy aluminum body ensures a sense of stability underfoot. The black anodized exterior finish is an ideal match for KORG's flagship KRONOS workstation. Rubber is used on the top surface of the footboard and on the bottom of the body, providing better grip strength and improved stability. The pedal uses a durable gear mechanism for trouble-free operation. Additionally, the gears now have more teeth, delivering an extremely smooth operation. The minimum volume knob lets you adjust the volume range that can be controlled by the pedal. The knob has been moved from its previous location under the footboard to the back of the body, making it easier to control. A torque adjustment screw is also provided, allowing easy adjusting to the operating torque (weight) of the footboard to suit your preference. - Equipped with two sets of input/output and one expression jack. - Compact and sturdy aluminum body with a black anodized finish that exudes quality. 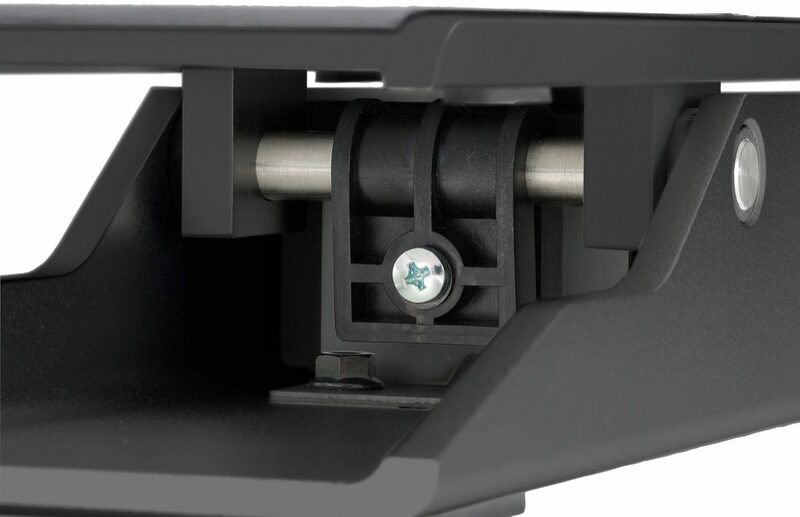 - Pedal mechanism features smooth operation and excellent grip. - Minimum volume and torque can be adjusted to suit your playing style.